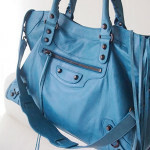 LUXURY BAGS FOR SALE | Beverly's Net: family. food. fashion. LUXURY BAGS FOR SALE – Beverly's Net: family. food. fashion. ALL the bags below are purchased by myself, directly from the boutiques. They are from my personal collection. I simply don’t use them anymore, so I prefer to sell them to make way for other stuff. Entirely crafted in ultra soft leather, this Miu Miu bag smells divine. Beautiful neutral colour, with brushed gold hardware. Small pen mark on the bottom of bag, and light wear on exterior. Strap has been professionally altered as it was insanely long. Interior is cotton and is clean with no smells or tears. Double top handles with a 5″ drop, top zip closure, one inside zip pocket. Measures 14½”W X 9½”H X 6½”D. Purchased personally from boutique. 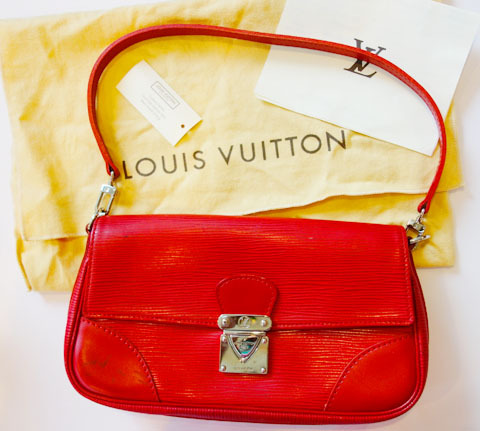 Discontinued and rare Louis Vuitton bag in their durable epi full-grain leather, with silver hardware. 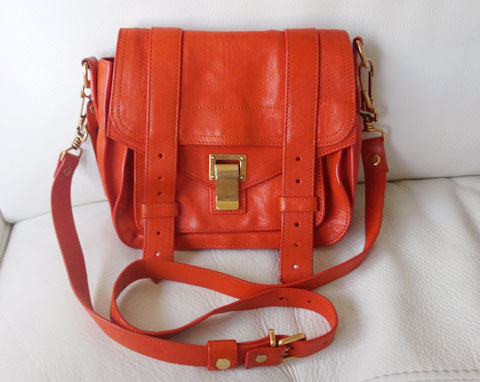 Inside flat pocket and a detachable strap (so it can be used as a clutch as well). Interior leather tag inside says “LOUIS VUITTON PARIS, made in France”. The exterior has some darker marks on the front. The silver clasp lock is smooth and shiny. Interior is in new condition with a small pen smudge on inner flap. Back and bottom of bag some white transfer marks on it, but can’t be seen when you’re holding the bag on your shoulder. Corners and outside piping are in perfect condition. Stitching is all tight and clean. Measures 8.6″ wide x 4.3″ high x 2.4″ width. Strap drop is approx 8″. Purchased personally from boutique. 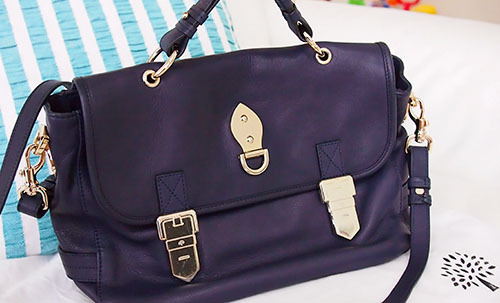 Beautiful soft and thick leather, in a midnight blue shade with shiny silver hardware. This satchel has an adjustable strap as well as a top-carry handle. It is in mint, new condition. Purchased personally from the boutique. Still up for grabs, see my original post here. Now selling at a reduced price. If this doesn’t sell at this price, I’ll keep the bag. I have interest about your Miu Miu vitello lux bow satchel. May I know it still available? If so, do you have more picture about your bag? Besides this, I am from Malaysia. If I need buy from you, what is the payment method? 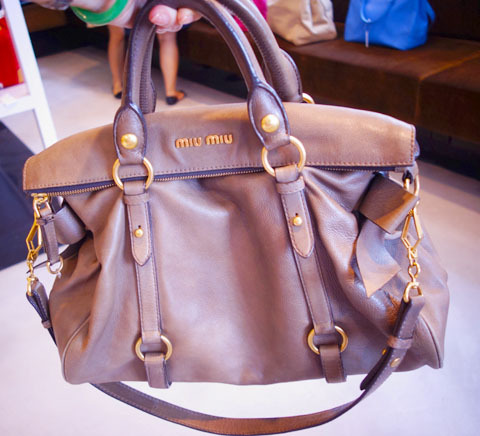 Am interested in the Miu Miu vitello lux bow satchel. Is it still available ? If I am from Malaysia.How do i go about ?